Get ready to celebrate! Saturday, May 5, 2018 is National Dog Park Day. Introduced in 2017, PetSafe® launched National Dog Park Day as a way to encourage dog owners to spend time outdoors with their pets in safe, off-leash areas. 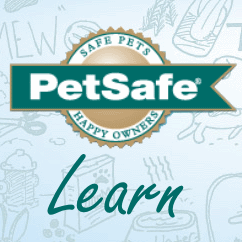 The annual PetSafe® Bark for Your Park™ grant program is back! Since the program launched in 2011, PetSafe has awarded over $1 Million to 70 communities in 40 states to build, enhance and maintain off-leash dog parks. This year, we’ll award $225,000 to 13 pet-friendly cities. Is your dog getting the activity he needs? How much time should you spend walking and playing with your pup? Learn how to stay healthy and active with your pup! Looking for the newest and best gadgets, technology and products that make it easier to be the best pet parent. Here’s the latest Fetch ‘n Tech product solutions for you and your dog or cat. Nearly 55 million American households now include canine members. From our home life to how we spend our free time, dogs are becoming more and more ingrained in our everyday lives. Today, we celebrate National Take Your Dog to Work Day. What Can a Dog Park Do for Your Community? Want to give your dog a yard he’ll drool over? Enter the PetSafe® Doggie Dream Yard Giveaway! Is your dog's excessive barking becoming a problem for you, your household or your neighbors? With these tips, and a little Spring Training, you can have a more peaceful home.